The W'menswear Sheepskin flying vest made from the finest 15mm North American sheepskin. All seams are reinforced with separate leather strips, and you'll find a pair of cotton tapes for securing the vest across the wearer's body. The rare design was based on flying vests made for the Royal Australian Airforce during WW2 by the Country Women's Association of Victoria. 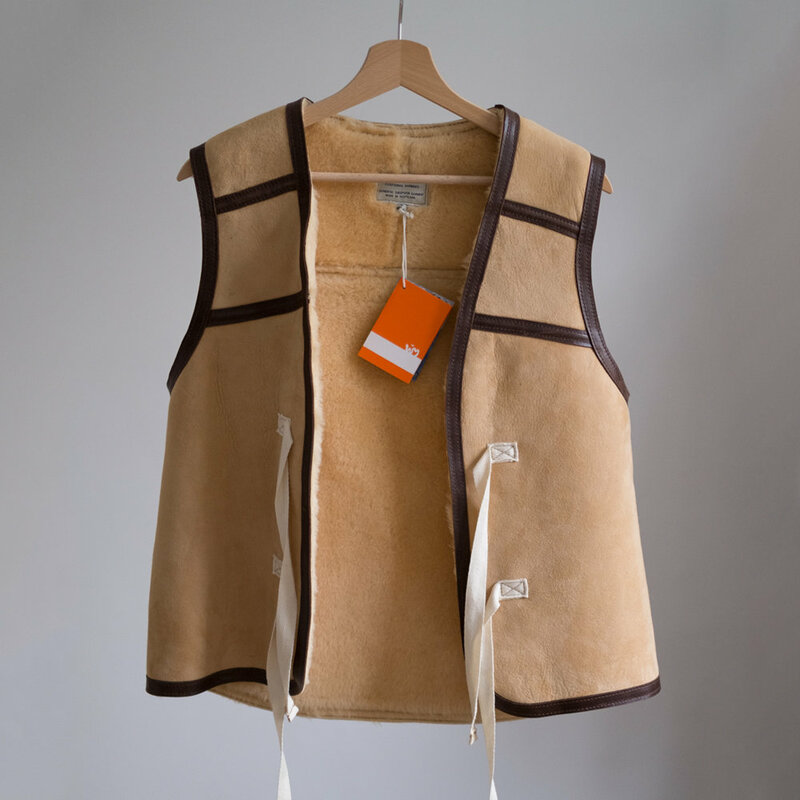 Due to the nature of the natural raw materials used and the traditional method of manufacture, the sheepskin vests are not designed to be tailored like a suit, they will after a "break in" period soften and mold to the shape of your own body. Like all of our garments, our sheepskins are built to be worn. Each vest is individually handcrafted in Scotland by a skin specialist, without a production line in sight.